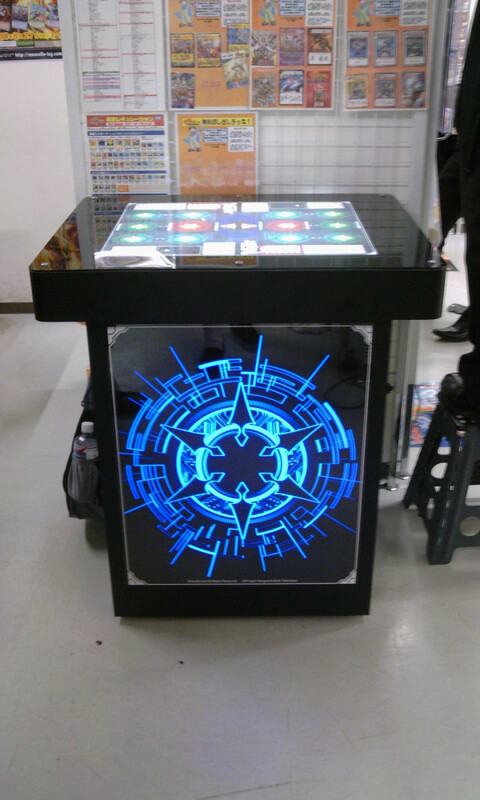 Here it is, the first fully electronic standing fight table. With a color light-up display and inbuilt sound effects, this table scouted from the Japanese store Card Kingdom can appear a little intimidating at first glance. It's still the same Vanguard cardfighters across the earthsphere are already familiar with though, just flashier. A video of the table in operation can be viewed below.